The Matrix A30 Elliptical Trainer is On Sale! The 24-54% power adjustable incline on this machine is going to make you break a sweat in no time flat! The Matrix A30 elliptical is a suspension ascent trainer from a long trusted commercial brand. This new line of machines is designed especially for home use and features a 30 lb. flywheel, 20 resistance levels, a 20-24” variable stride length, and a choice of three console designs. 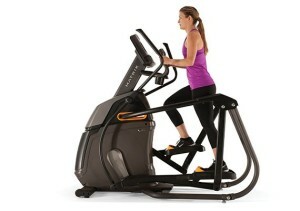 Matrix Fitness machines come from the same parent company that manufactures Vision and Horizon brand ellipticals. The company, Johnson Fitness, is well known for very high quality machines that have relatively few maintenance issues. They also have excellent customer service. WEEKEND SALE ENDS MONDAY: The Matrix A30 Elliptical is on SALE! The Matrix A30-XR usually sells for around $2,799, the Matrix A30-XER sells for around $3,299, and the Matrix A30-XIR sells for around $3,799. Choose the console type that works best for your goals and budget! We also suggest you check out the Life Fitness E3 for premium quality. What’s So Great about the Matrix A30 Elliptical? Suspension Elliptical Design – Traditional elliptical designs have wheels that move along a single or double track that make a lot of noise and don’t always deliver a smooth motion. Suspension ellipticals are nice because you will experience a very quiet and smooth ride during your workout. Power Incline 24-54% – Most ellipticals with incline raise the user higher off the ground when the incline level increases. This can be a problem if your machine is located in a room with a lower ceiling. 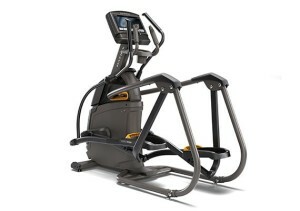 Unlike any other machines on the market, the Matrix A30 elliptical does not raise the user higher off the ground! 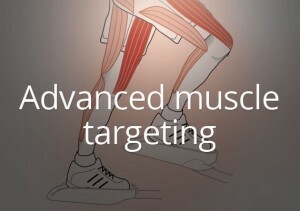 20-24” Variable Stride Length – As you increase the incline your foot path will enlarge to work more muscles in your lower body. Matrix has a Perfect Stride system that is designed for comfort and ideal body ergonomics. 30 lb. Flywheel – This is a very heavy flywheel, which will help provide that smooth and natural feeling motion. 8.7” Step-On Height – This machine is very easy to step up onto. It is great for older users with limited mobility. Warranty – A strong warranty comes from a quality machine. The Matrix A30 comes with a lifetime frame warranty, 5 years on parts, and 2 years on labor. Sprint 8 – Get Results Fast! The Sprint 8 is a pre-programmed high intensity interval training system (HIIT) on the XER and XIR consoles. Users can work out just 20 minutes a day, 3 times a week, over the course of 8 weeks to achieve reduced body fat, lower cholesterol, increased energy, and stronger bones. This program was developed by Dr. Phil Campbell and scientific studies have been performed to prove the benefits. Learn more at www.sprint8.com. 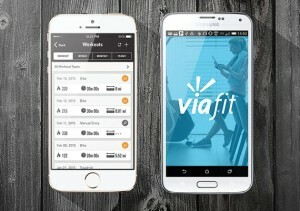 ViaFit – Track Your Fitness. This free fitness tracking platform from Johnson Fitness allows users to record elliptical workouts, incorporate stats from wearables like FitBit, and see records from phone apps like MapMyRun all on one easy-to-use account. You can set goals, track progress, join online challenges, and achieve your goals faster with this program. We were impressed by its ease of use and the way it integrates so well with the tech we are already using to track our workouts. Virtual Active – Exercise in Fun Virtual Locations. Cardio workouts on fitness machines can be boring if you don’t have some sort of distraction. 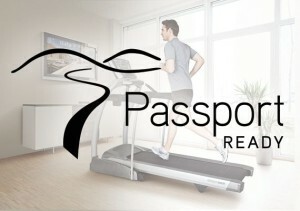 The Virtual Active tech allows you to ‘run’ on a virtual course shown on your elliptical console screen. Better yet, you could use something called the Passport Player and link your machine to a large screen television. Additional courses can be purchased, but the program comes with two courses to start out. Make sure you purchase the XIR or XER console to take full advantage of this feature. Most other ellipticals don’t give you a chance to choose what type of console technology you want to pay for. To buy a high quality machine, you end up with a lot of bells and whistles that you’ll never use. With the Matrix ellipticals, you can choose the level of console (and the corresponding price) that best suits your goals and workout preferences. XIR – This top level console costs $2,699 with the Matrix A30 and comes with a beautiful 16” HD touchscreen. It is also decked out with all of the tech options, Bluetooth technology, a free Polar HR strap ($50 value), and a wide range of console apps displayed like they would be on a smart phone. Console apps allow you to watch YouTube, Netflix, browse the web, update your social media accounts, or even check the weather! XER – If you want to enjoy the benefits of the Matrix A30 with a slightly less expensive console, then you can save $500 with the XER console. The tech options are all the same, but you will only have a 10” touchscreen for viewing. XR – Some people don’t use any of the fancy options, so they would be happy with a basic console. The XR console includes an extra wide 8.5” blue LCD screen that shows all of your basic stats. This console is still able to connect to virtual courses if you choose to purchase the Passport Player. It also still provides ViaFit connectivity. You just won’t be able to use Sprint 8 with this console. The main advantages to this machine are the fabulous suspension elliptical design for a quiet and smooth workout experience and the power incline option. Plus, we really like that this machine comes with a choice of 3 consoles you don’t need to pay for features you won’t use. The main drawback on the Matrix A30 is the size. It has a footprint that is 74.8” x 29.5” which may not fit in all homes. If you are interested in a smaller machine, you should check out the Matrix E30 suspension elliptical. The main feature you’ll be losing is the power incline. If you love this machine but want even more options, you should check out its big brother, the A50. The Matrix A50 features an upgraded resistance system, additional resistance levels, multi-grip handlebars, cushioned foot pedals and a warranty upgrade.